Each year at the beginning of the holiday season, I try to reflect on the people and experiences for which I am grateful. This past week, I’ve been selecting snippets to share, either directly, over on Facebook, or here in this space. When I reflect on the objects that matter most in this life, there’s only a short list: My bible, my wedding ring, my running shoes. Perhaps another day I’ll share about the first two, but this reflection and recipe are about the symbolism of the shoes. Each pair is temporary, special only for a time and then easily replaced. Once done, they get jammed into our tiny front closet, worn out completely in garden work, and eventually tossed in a donation bin once a sizeable pile has accumulated. I tend to treat each pair extra nice until it hits 400-500 miles and then all emotional attachment is heaped on the next. The shoes I’m currently running in are neon-orange and turquoise, and they contrast with whatever I tend to throw on above. Depending on the day, I can pull off looking like I’m late to a one-act circus show. I started running within the first couple weeks of moving into my freshman dorm in college, and over the many years since, I’ve come to know each of the places I’ve lived and visited in my running shoes. I have run 5am dim streets in Limerick, jet-lagged, no phone, no idea where I was going, no one in the whole world knowing my location. I’ve run the streets of La Grande, all hours of the day and night, just to feel alive and at peace. I’ve gotten to know the nooks and crannies of Corvallis, the suburbs of Dublin north and south, the pear orchards and cattle ranches of Southern Oregon’s Phoenix and Eagle Point, the Christmas tree farms and nurseries of Sandy, the angry farmer’s dogs on the outskirts of Albany, the oak savannah, communter-town streets and horse farms of Wilsonville. There was a month when I ran the rural-ish Keizer roads, and then a school-year of running all the west-side neighborhoods of Roseburg. It’s safe to say I’ve seen a good portion of Oregon in my running shoes, both the streets, forested and mossy trails, the beach, and the infinite farm roads. And still, there are all the travel cities I’ve gotten to know in between. Far more than what I’ve seen in these shoes and the ones that have come before, is what they’ve made me feel: Release from the worry and guilt that makes up my personality. Clarity; knowledge of what sits right in my soul. Cleansing from anger. Cleansing from feeling anything at all. I’ve caught up with good friends and high-fived others out on the paths. I’ve been visible and seen–a role model to the neighbors who knew me as “that runner girl,” and my current neighbor, a 55-year-old bachelor, who frequently runs out the door in his skivvies(!!) to ask, How many miles today? I’ve skipped biology lectures and headed for the trails instead. I’ve conjugated Spanish verbs over and over in my head, and I’ve run faster each mile, using my anger over a guy to fuel each step. I’ve pumped up the techno-dance-treadmill-tunes, and I’ve taken all my closest girl friends out for one last run as a single lady. I’ve listened for the first sounds of the birds in the morning and taken in countless sun rises that never fail to leave me astonished and breathless at the beauty of this world. I’ve meditated on simply living and breathing and just plain being a better me. These shoes have enabled me to find out who I am, to push myself beyond the comfortable, to accomplish things, to release my competitive spirit. They’ve been a way to spend happy weekends with William–and most of all, they’ve helped me to develop a better relationship with my body, to be able to listen and nourish it with the foods and nutrients it needs. 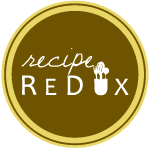 This recipe is one I’ve eaten countless times these past few weeks. After a long or hard run, I tend to go through phases where I desire certain foods. I’m of the belief that my body is either telling me I need to eat those foods because of their nutrients–or I’m simply crazy. Perhaps, a little of both. 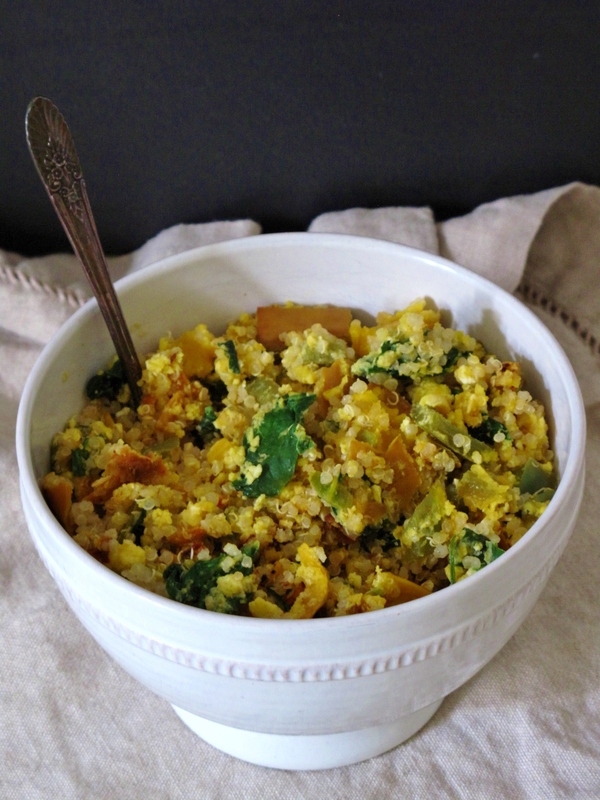 ;) Eggs, quinoa, and winter squash have been on repeat lately and like many of my favorite recipes, this one came about when I grabbed a random bunch of ingredients from the fridge in a post-run hunger. It was perfect from that first time to every subsequent helping I’ve made since. In a medium-sized skillet, heat 1 Tbs. dressing on medium high. Sauté peppers for 5-10 minutes until soft, and then add roasted winter squash. Cook for 2-3 minutes more, until squash is warm. 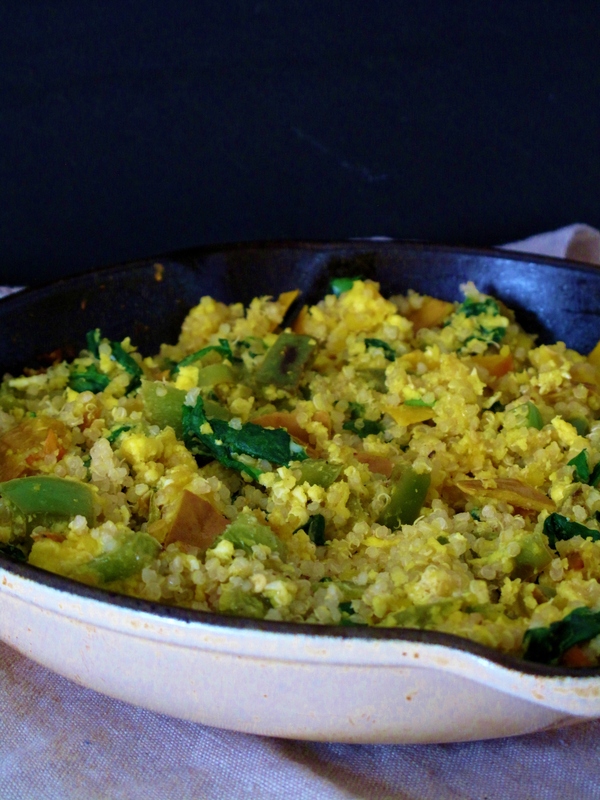 Crack eggs directly into the skillet, and stir them amongst the vegetables, making a scramble. 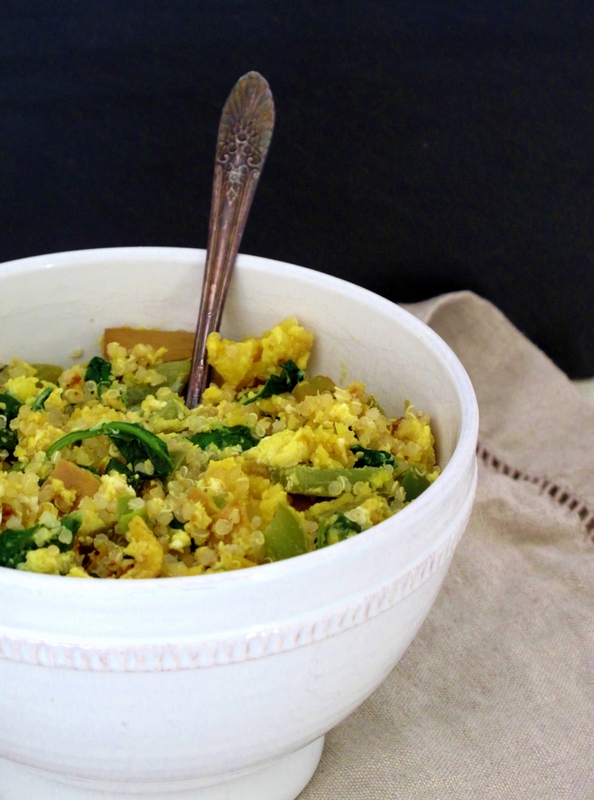 When eggs are almost cooked through, add spinach and quinoa and heat through entirely. Pour it all into a bowl to serve, and add more dressing to taste. To make the dressing, puree all the ingredients together in a food processor or blender, and salt and pepper to taste. 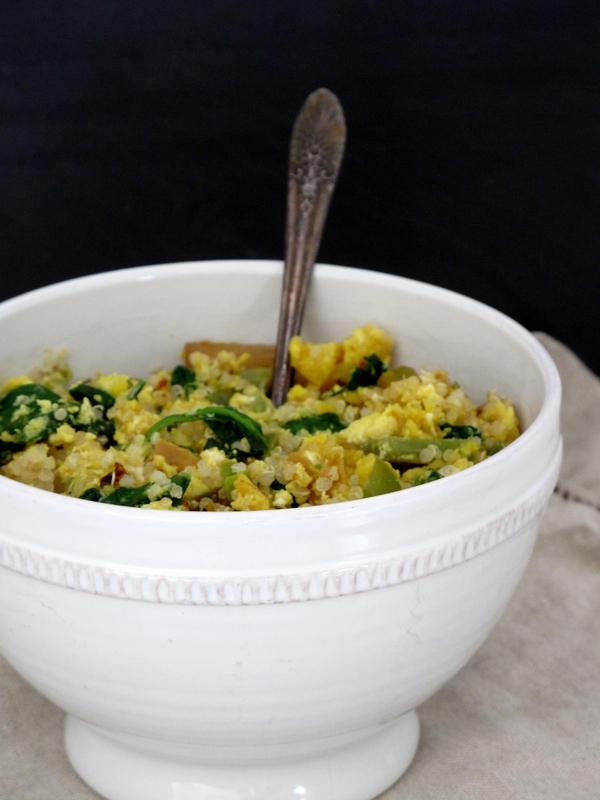 Love a good quinoa bowl, yours looks delicious!! Beautiful story! I just started running (I’m a freshman in college!) I hope I can make and have wonderful memories hitting the pavement as well!